Successful boards are required to achieve in an ever-expanding range of areas. Boards need to provide clarity about their strategic direction and their shared vision in order to make decisions that will develop and enhance their organisation. They also need to ensure risks are identified and managed. So, creative decision-making must exist alongside the need to stay focused on the essential responsibilities that are legally required from every board – no easy task. Governance Accelerator Program (GAP) – highly experienced and we come to you and work to your timetable. Designed to ensure board members are kept up to date with their regulatory and compliance responsibilities but also to elevate individual performance and in so doing increase the value of the board as a whole. 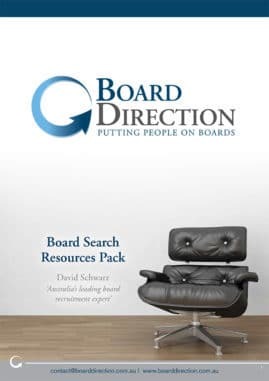 Together we help boards reach and sustain governance effectiveness so that the companies they govern can reach and sustain excellent strategic performance – all from within their own boardroom. Yes, we come to you and work to your timetable. Our program accelerates governance because the sessions are based on practical ‘real life’ issues and focus on the actions that boards and directors must take to address the issues that arise. Each session will address relevant recent news and court cases to ensure that material is current. The key differentiator is the use of tailored case studies to allow your board to develop their own protocols in accordance with the needs and preferences of the directors and organisation. The quarterly sessions, in your boardroom with your board, are highly interactive and allow the board to engage with and direct their own learning to ensure that topics are covered in the right level of depth and detail. Further specific KPIs for board performance will also be developed to ensure that board members can review their own governance trajectory based on a proven process and individual measures. The Governance Accelerator Program is specifically designed to suit boards who are interested in developing better governance outcomes and corporate accountability whilst meeting and exceeding performance expectations. 4 x quarterly governance training sessions. Covering the essential elements of the risks, roles and actions of Non Executive Directors. Every session is delivered by an ex AICD Governance Training Facilitator in your office in co-ordination with your existing scheduled Board Meetings.delivered on-site at your board meetings. 1 x Annual Board Governance Review. Each review measures your board’s performance regardless of any changes in composition. You receive a comprehensive report that addresses each of the 13 elements required for good governance. All our services are delivered on site so there are no additional time or travel costs. Further, with over 40 years of combined Governance experience all our work is fully guaranteed and we offer a full 100% refund if you are not entirely satisfied..
Julie Garland McLellan is a a practising company director and experienced in developing the governance of: Not for Profit, Listed, members associations and private businesses for over 30 years. She has served on the Australian Institute of Company Directors Council in NSW and is a current national board member of Professional Speakers Australia and a former director of both The Victorian Chamber of Mines and the Victorian Minerals and Energy Council. Julie is also the author of Australia’s best-selling practical manual on governance for directors in the public sector ‘All Above Board: Great Governance for the Government Sector’ and the popular ‘Dilemmas, Dilemmas’ books of case studies for directors. Importantly, She has accredited governance qualifications and presents education for professional associations including the Australian Institute of Company Directors, the Governance Institute of Australia, CPA Australia, IIAA, etc. Her expertise is recognised worldwide and she has presented for the National Association of Corporate Directors in USA, Instituto Brazileiro de Gobierno Corporativo in Brazil and the IE Business School in Australia, Spain, Japan and Singapore. Few know as much about Board Governance than Julie. 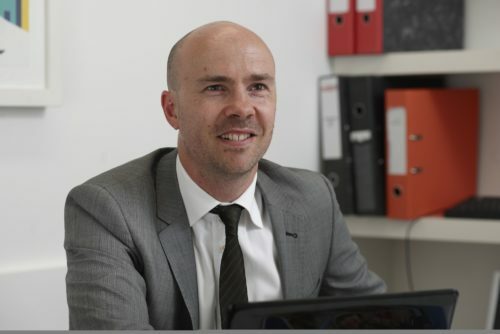 David Schwarz is non executive director and has been putting people on the boards of some of the most significant public, private and not for profit organisations in the world, for over a decade. He is the Founder and CEO of Board Direction (www.boarddirection.com.au) and Board Diversity (www.boarddiversity.com.au). He is the author of ‘Board Appointments: The definitive guide to finding and gaining a board appointment’, a regular speaker at Governance Institute of Australia, runs Board Appointment Master classes and has been quoted as a CV expert by MyCareer. He has also been featured by News.com.au, Channel 10′s ‘The Project’ and in the AFR’s BOSS Magazine. There is arguably no one more experienced in explaining how to develop a board career than David. We will not release this information to anyone. Please select the option that you are most interested in. Please tell us a little about how we might be able to help.